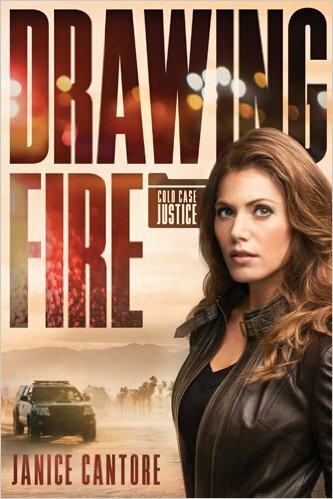 Thirty-three-year-old Abby Hart is a homicide investigator living in Long Beach, California. She joined homicide in an attempt to figure out the murder of her parents when she was just six-years-old. This has long ago been classified as a “cold case” but she is still determined to find the killer. At the start of the story, she is involved in hunting down a possible serial killer of elderly women. When a fresh murder is discovered, Abby is forced to team up with a local private investigator, P.I. Luke Murphey, who is a possible witness. As the story develops, it becomes clear Luke has his own reasons for wanting to re-open the cold case of her parents’ murder. The unlikely duo team up and readers are treated to a wild ride of twists and turns that makes it very difficult to put the book down. This Christian novel is a good read with suspense and mystery wrapped in an element of romance. Although some of the story ends (with an unexpected twist) the main theme continues as this is the first book of the “Cold Case Justice” series. I will be looking for the next one to hit the shelves! I have just added Janice Cantore to my list of “must reads”. Drawing Fire was the first book I have read by this author, but it definitely won’t be my last. I received a copy of this book from Tyndale House Publishers in exchange for my honest review. Thank you Tyndall House as well as Netgalley for this opportunity. You can purchase Drawing Fire here. Deadlock ~ by DiAnn Mills Time for More Resolutions? Not this year!